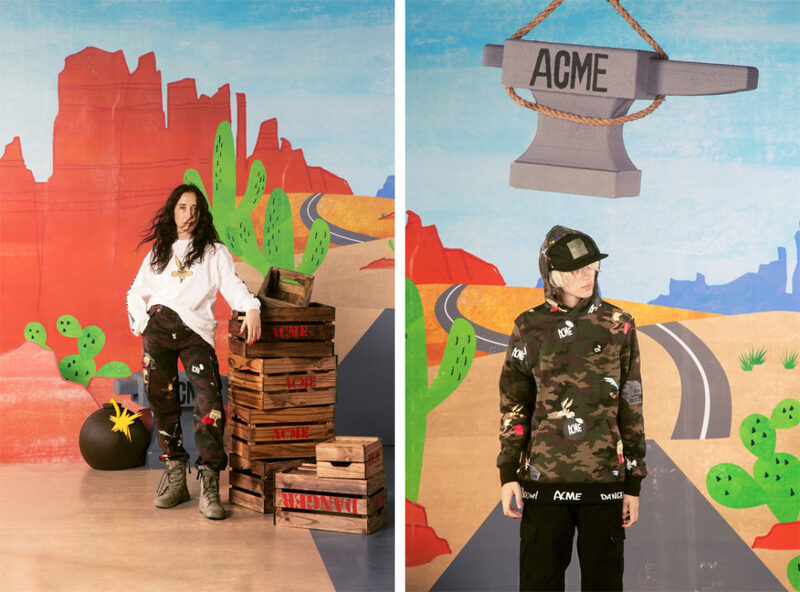 The Hundreds X Looney Tunes ACME drops September 20, 2018, at The Hundreds Los Angeles, select retailers (full list at end of this post), and our Online Shop (US and UK). 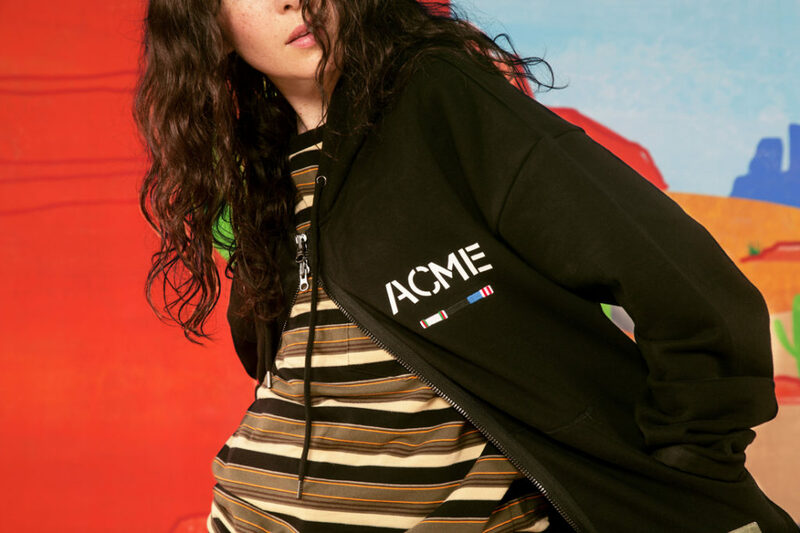 The ACME Corporation is arguably one of the most important characters in the Looney Tunes universe; the brand’s products and contraptions always catastrophically backfired, highlighting the animated series’ slapstick humor storylines. 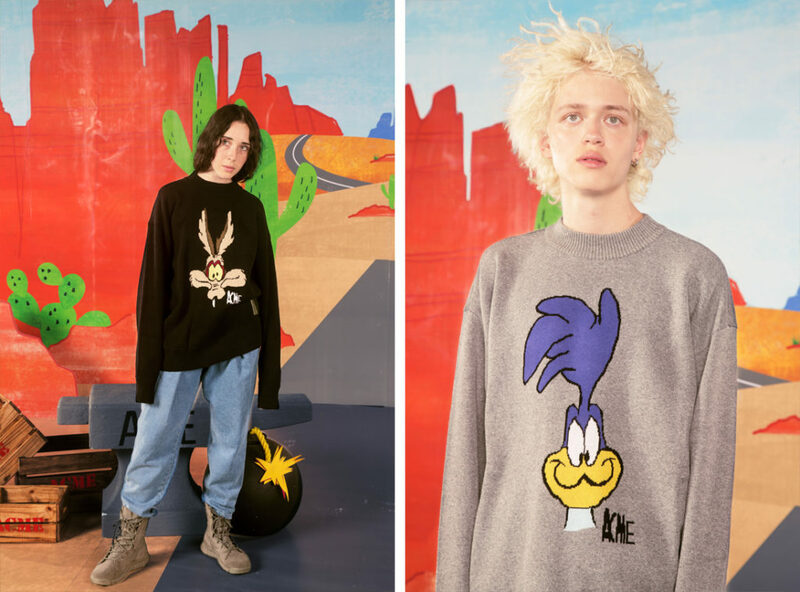 During the Golden Age of Animation, the fictional company of ACME seemed to produce every product imaginable: explosives (notably used by Wile E. Coyote in his endless pursuit of the Road Runner) and anvils, but also Invisible Paint, Giant Rubber Bands, ACME Tornado Seeds (just add water! 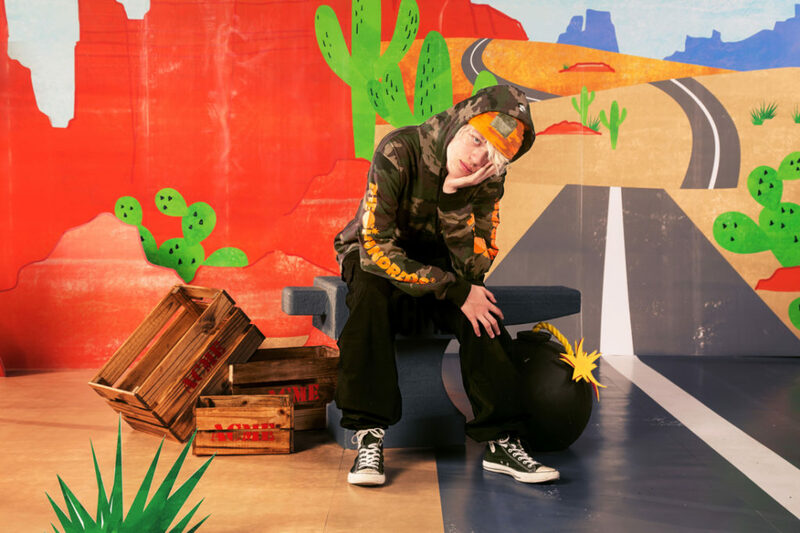 ), jet-fueled pogo sticks, Instant Roads, and even cereal and bumble bees. 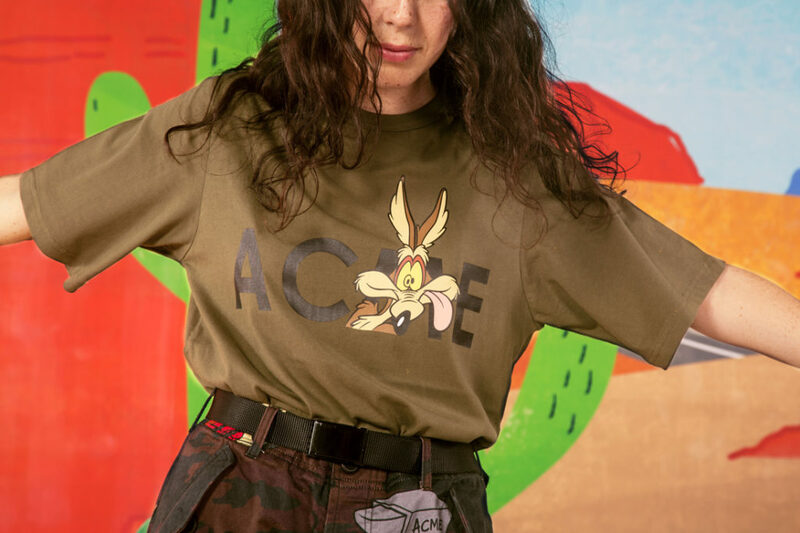 You could always count on an ACME product to fail—and in that way they were reliable. 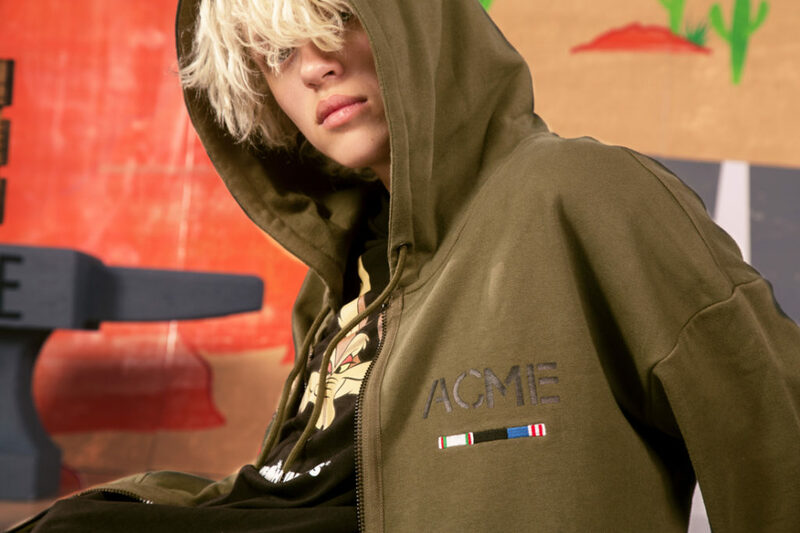 The Hundreds’ co-founder Bobby Hundreds is a huge ACME fan, and the fictional brand’s explosives actually inspired our well-known mascot Adam Bomb. 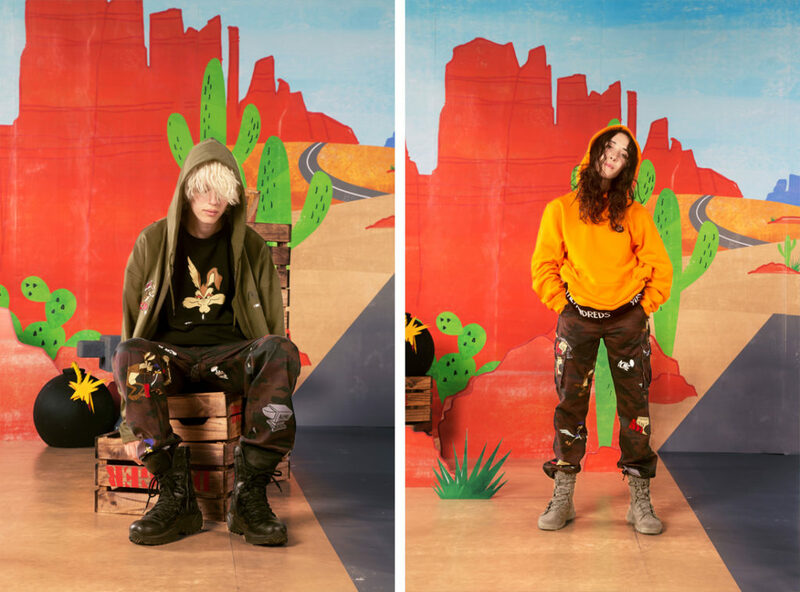 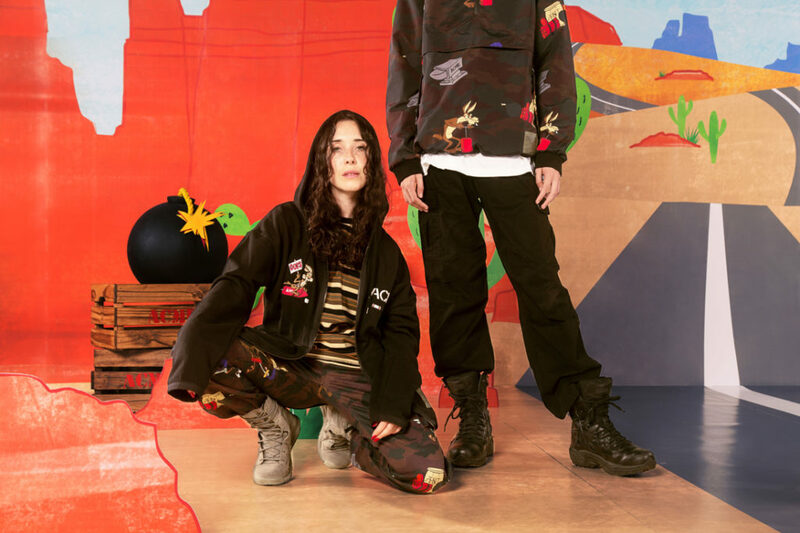 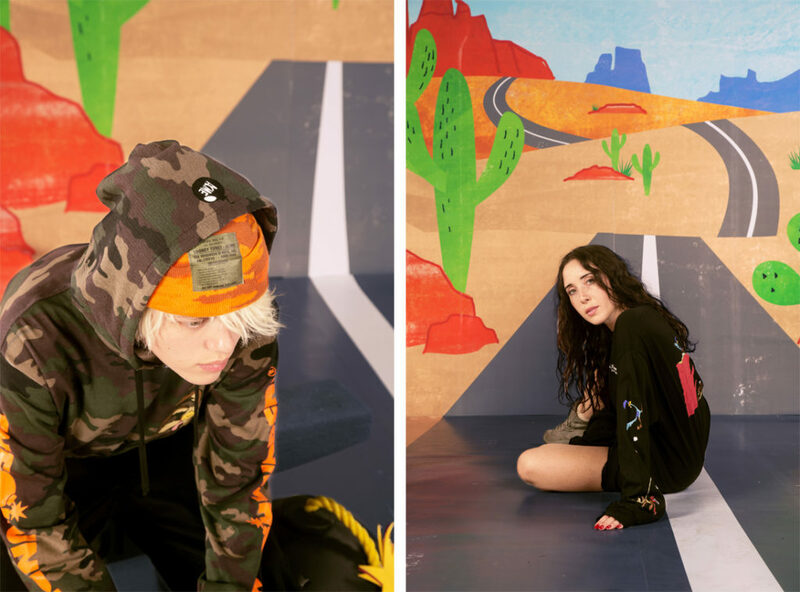 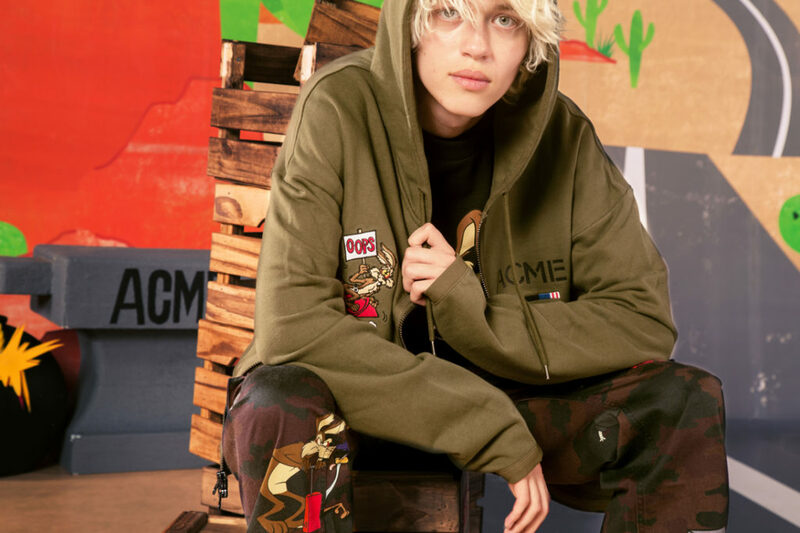 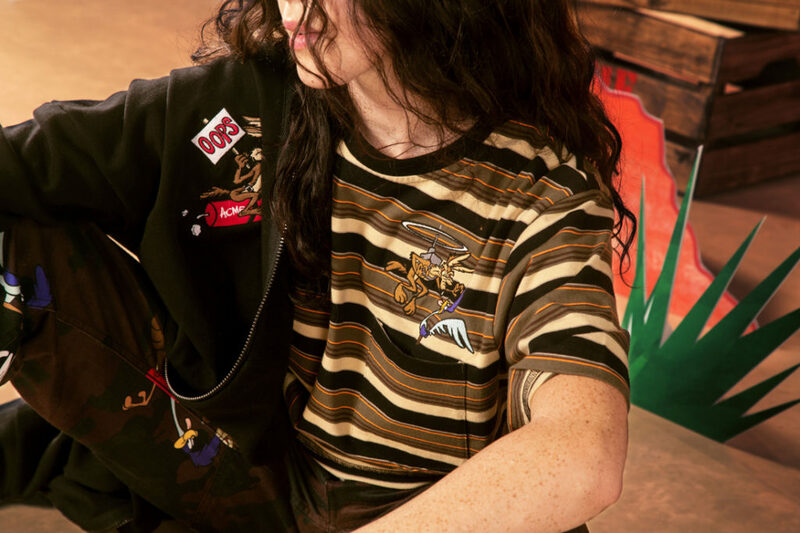 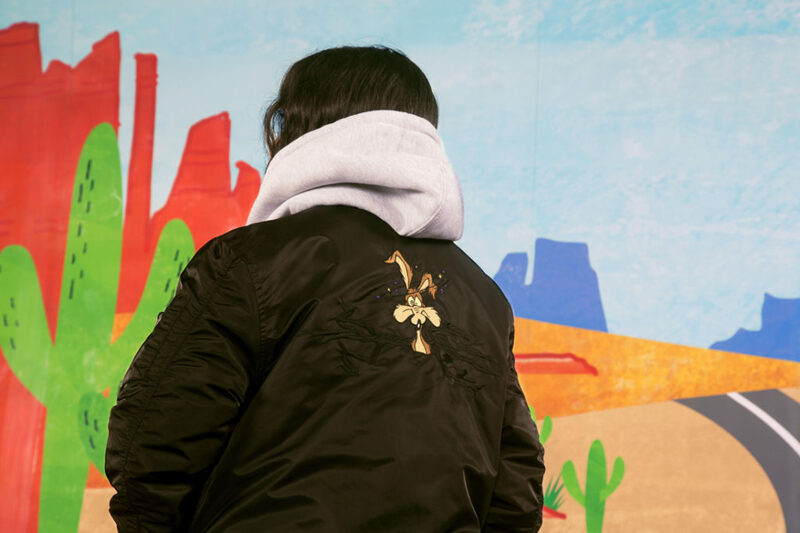 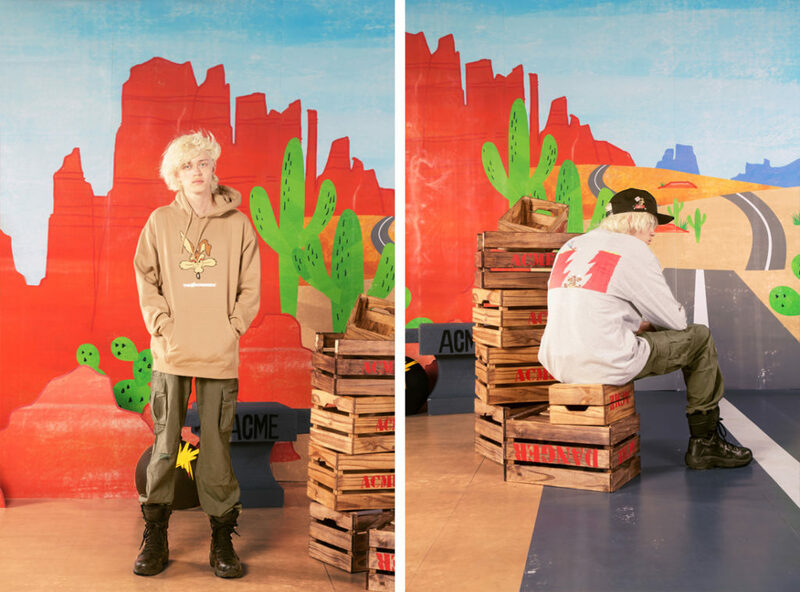 For The Hundreds X Looney Tunes ACME, we created a military-themed collection inspired by real Vietnam War-era helmet graffiti and nose art that depicted Looney Tunes characters. 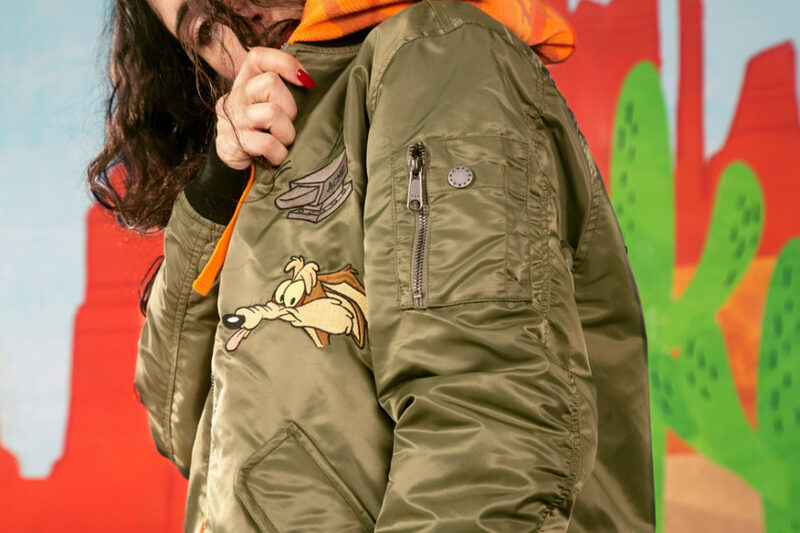 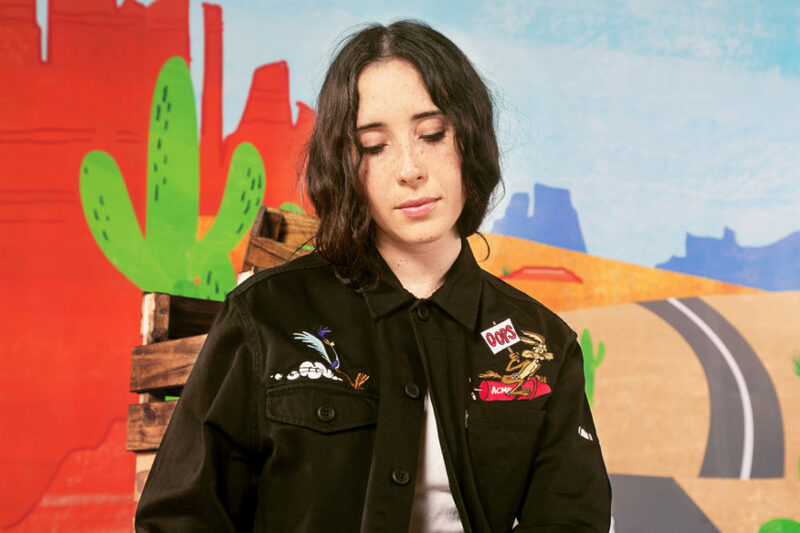 We had fun with the ‘70s-era artwork and embellishment placements throughout the collection’s garments to convey Wile E. Coyote’s ongoing Sisyphean pursuit of Road Runner using ACME branded explosives. 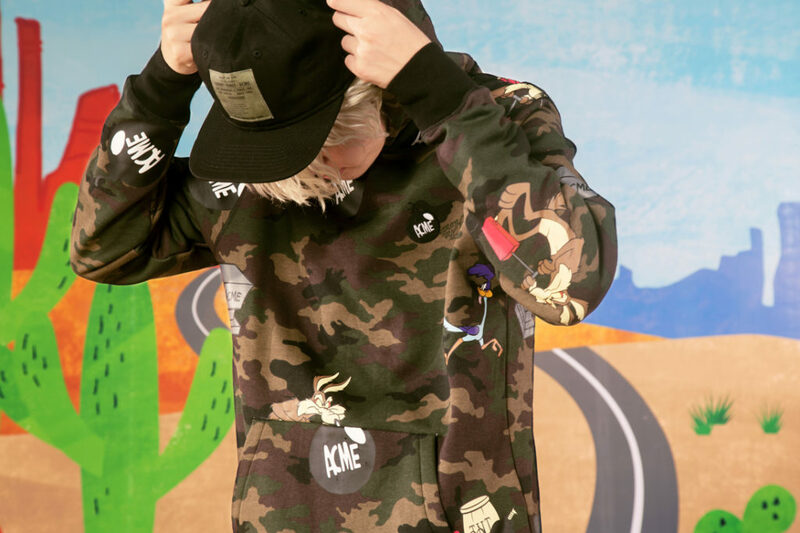 The collection features military silhouettes done in upgraded fabrics and refined fits; an updated The Hundreds’ classic “Perfect Camo” print in deeper, darker tones in some of the collection pieces; a new custom allover print of Looney Tunes characters; and a cartoonishly ’90s inspired “Head” sweater. 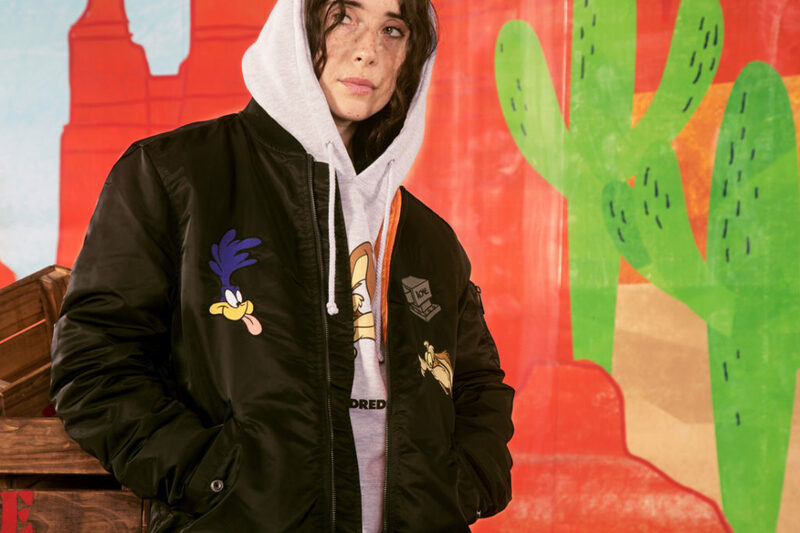 Accessories include a collaborative The Hundreds X Looney Tunes rug and a set of socks with Wile E. Coyote on one foot and Road Runner on the other.